Side Kick Vs Roundhouse Kick position is shown for ESKMS Level 2, Step 1 and 2, 3rd position. Notice if your style does the kick differently, the positions can be adjusted. ESKMS show the most advantages positions for the structures stability when the body's mass is transferred to the target. Also learn how to develop power in a side kick for a powerful side kick. Powerful front kick, strong and power rouhouse kick and powerful hook kick. Speed of kicking techniques is also develop. 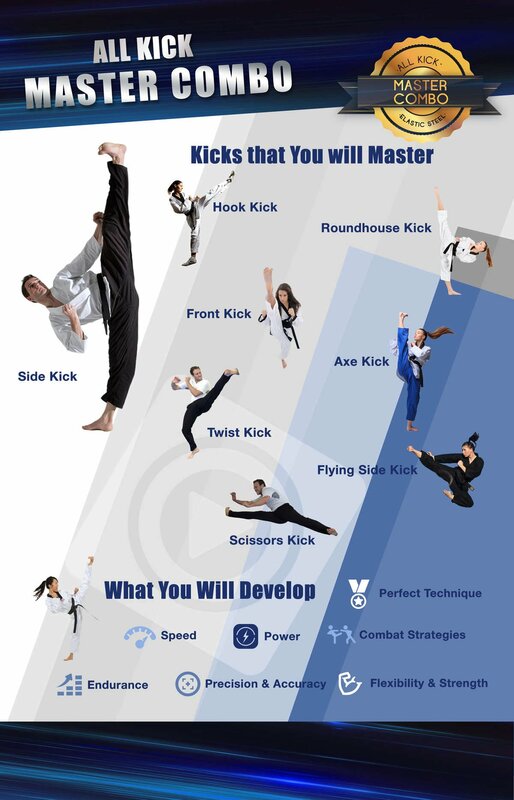 Learn how to train for fast and powerful kicks! Paul Zaichik's 30 years of Martial Arts experience and indepth knowledge of the human body, now offered to YOU in 20 chapters. Click here to learn more about this program!